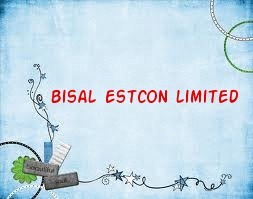 Bisal Estcon Limited is a leading real estate development company located at the capital city Bhubaneswar, Odisha. This company provides affordable housing projects like housing plots, simplex, duplex, villas, apartments and commercial projects in the best locations of the city. This company is managed by a group of experienced employees to deliver quality services and 24x7 customer supports to their valuable customers. This company focuses on litigation free lands with quality project management, design, planning, innovation, and marketing. This project is located at Samantarapur, Bhubaneswar, Odisha. This project is a distance of 5 kms from Kalpana square, 10 kms from Airport, 8 kms from Railway station, 8 kms from Bus terminal, and 5 kms from State museum. The features of this project are approved by BDA, Children’s park, Jogging track, 24 hrs electricity, water supply and security, ATM, and Community hall.